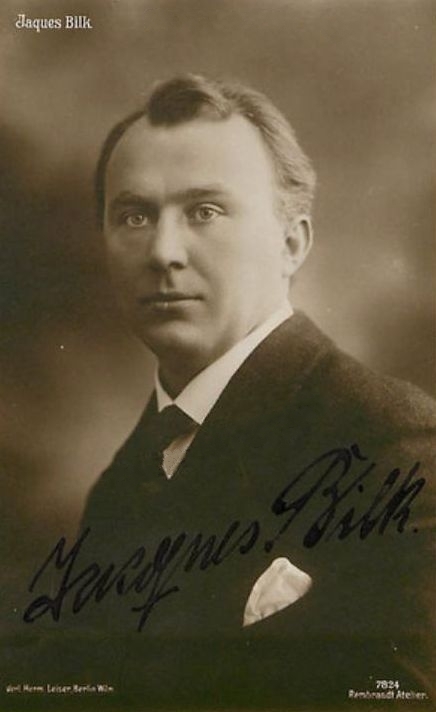 First he appeared at the Stadttheater in Metz (1906-1909), then sang at the Stadttheater in Freiburg (1909-1912). In 1912 he was engaged by the Städtische Oper in Berlin (1912). Here his career reached his climax. His repertoire included Masetto in ’’Don Giovanni’’, Scherasmin in ‘’Oberon’’ by Weber, count Eberbach in ‘’Wildschütz’’ of Lortzing, Kothner in ‘’Meistersingern’’, father in ‘’Hansel und Gretel’’ by Humperdinck, Storch in ‘’Intermezzo’’ of R. Strauss, Rigoletto, Valentin in ‘’Faust’’ of Gounod, Nevers in Meyerbeer’s ‘’Huguenots’’ and Homonay in ‘’Zigeunerbaron’’ of Johann Strauss. In the 1923-1924 season he worked as director of the Landestheater in Neustrelitz. In the 1924-1927 seasons he had the same occupation at the Stadttheater in Kiel. He appeared as a guest at the Hofoper of Munich and Dresden and at the Opernhaus of Leipzig. He made a few records for Vox, Artiphon, Edison and Gramophone.